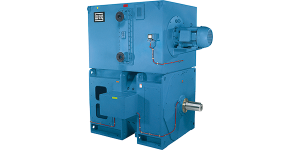 At Arroyo Process Equipment, we know that industrial pumps and motors are vital components that keep fluid processing operations running smoothly and efficiently. That’s why we fill our product lines with only high-quality equipment from the most respected manufacturers. We’re proudly recognized as an industry leader that’s renowned for our unmatched technical support, application expertise and superior service. Arroyo Process Equipment is still the same family owned and operated business that processors have relied on since 1968 to fulfill all their processing equipment needs, from motor equipment, gearboxes, filter regulators, strainers, and laboratory mixers to accessories, genuine replacement parts, and custom pump package systems. Submersible products manufactured by Baldor include more than 52 motor models. All models are suitable for dry pit or wet applications. Each submersible motor features a dual moisture sensing probe, NC thermostats, 416 stainless steel shafts, cast iron materials of construction, and dual carbon mechanical seals. Leeson Jet Pump motor models are most often used in water pumps and feature moisture repellant neoprene shaft flingers, shaft-ends with a mechanically locked ball bearing, C-Face mounting faces, and more. Nord explosion proof models meet stringent requirements and comply with national regulations. Many resources are lost a when fluid processing comes to a halt at facilities in Florida, Georgia, Haiti, Jamaica, Puerto Rico and elsewhere in the US and Caribbean. When motors powering pumps, filter regulators, drives or other equipment breaks, organizations can avoid lengthy downtimes by keeping an inventory of replacement parts and/or spare motors on hand. Contact Arroyo Process Equipment today to request free quotes on any of the equipment in our lines.